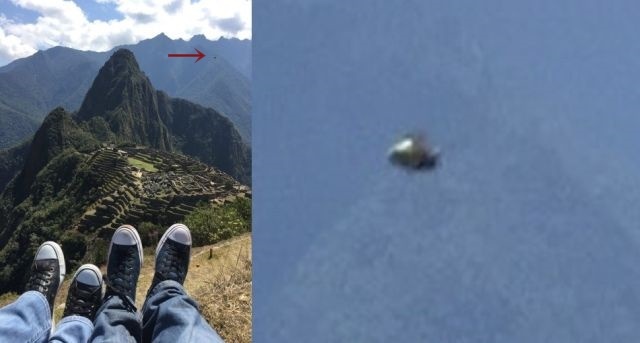 A tourist visiting Machu Picchu has accidentally taken an image of a UFO in the sky above the ancient ruins located in the Andes Mountains in Peru. The photographer who has submitted the image to Mufon said: I was visiting Machu Picchu with around 20 people of the company I used to work for at that time. We programmed the travel to Cuzco and Machu Picchu. Most of the people of the company was with their wife. I was with my wife also. We were following the guide and all taking pictures to the same directions and locations during the visit. It went well and nobody detected anything weird until we arrived to the hotel that night. 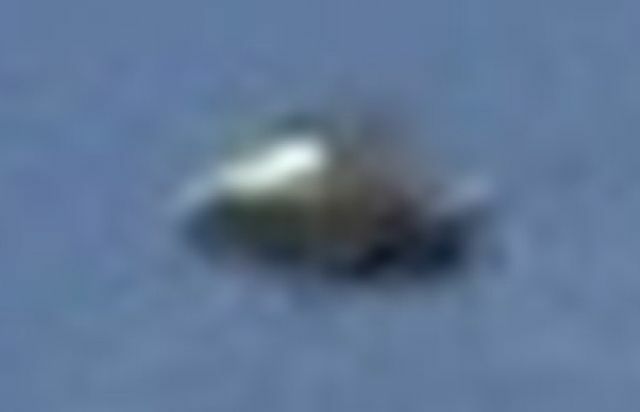 When we went for dinner, a member of the team said “have you saw the UFO?”. We all laughed and thought it was a joke. He showed us a photo that he took at 10.58 am in which we clearly sees an object flying over the ruins. Machu Picchu is not only a popular tourist attraction in Peru but also known for its many UFO sightings that have been reported over the years. Besides, the enormous structure raises questions about the ability of humans to build such a structure at the time, like the bottom level which has massive, gigantic megalithic blocks as big as railway wagons. According to Ancient Astronaut expert Giorgio Tsoukalos aliens might be the only feasible explanation to build such a structure. 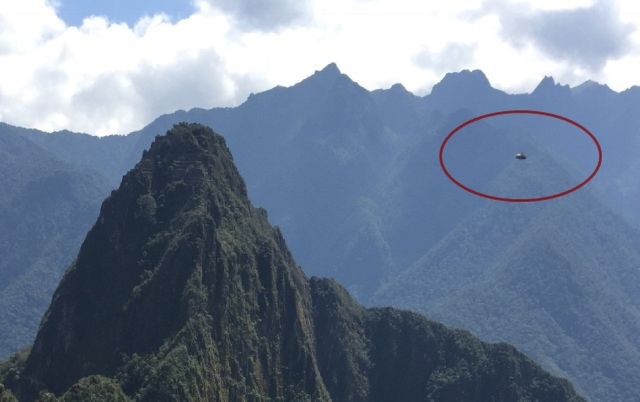 The fact that UFOs still appear above Machu Picchu could be a proof that this ancient site has more secrets than we know.